Raccoons are omnivorous animals with voracious appetites. Your yard is an all-you-can-eat buffet, and the masked bandits devour nearly anything they can get their paws on. They cause major problems when they scavenge through garbage cans and compost piles. Because raccoons are so crafty and smart, it’s nearly impossible to keep them out of your yard. Sometimes the best solution is to minimize the damage and discourage them as much as possible. Raccoons are nocturnal creatures that o about their business from dusk through early morning. If you haven’t spotted raccoons in your yard, you’ve probably heard them as they scramble over your roof or rummage through your garbage can. You may see small holes where they dig for grubs. Pick up fallen fruit and nuts. Harvest garden vegetables as soon as they ripen. Trim tree branches away from buildings. Bring pet food in at night. Use metal garbage cans with tight lids secured with cords. Sometimes, a few drops of ammonia can make your garbage less palatable. 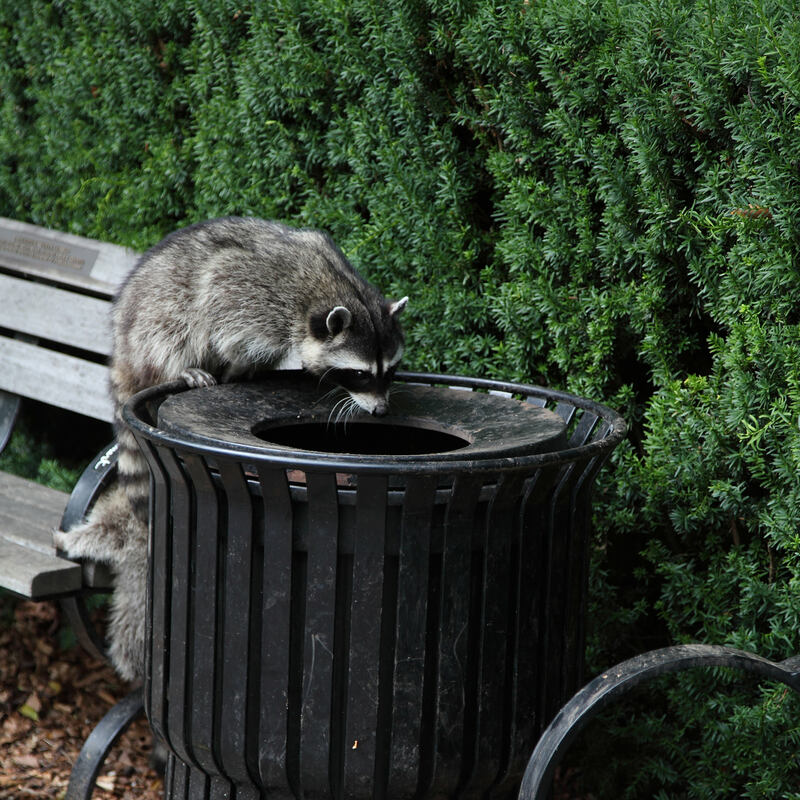 If raccoons are especially wily, tie cans to a pole to keep them upright. If raccoons have expressed an interest in your chimney, cover it with a suitable spark arrestor. Close up open areas under decks or buildings with lattice or steel mesh. If there are baby raccoons (kits), wait until they leave the den. 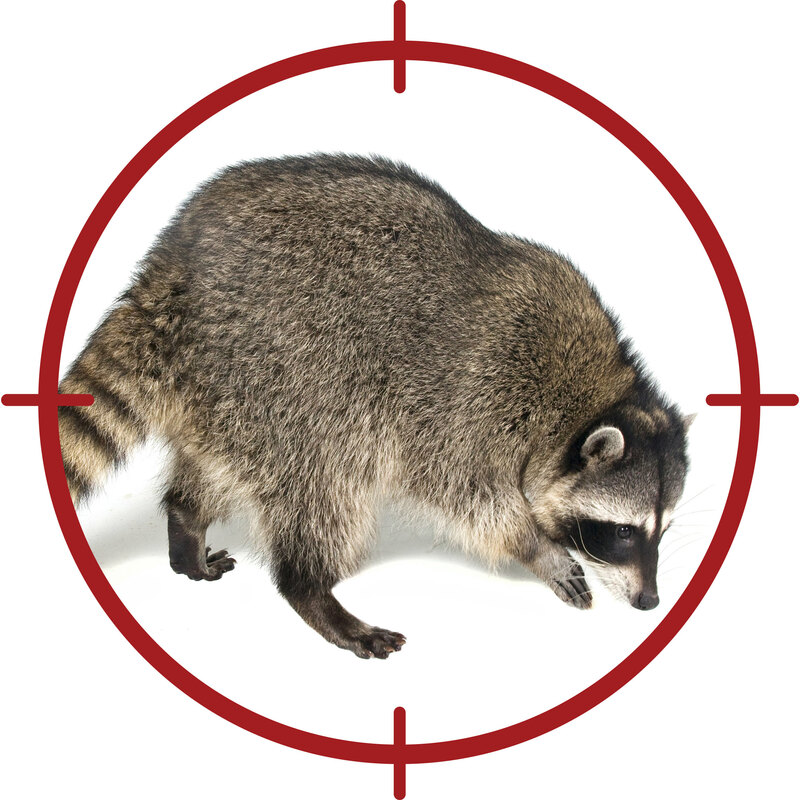 Strong smelling or tasting repellents such as a pepper-based product can discourage raccoons for up to 30 days. Apply the repellant to lawns, garbage cans and gardens. Trapping is usually discouraged and may be illegal in some areas. Check with your local authorities for specifics. Warning: Never attempt to catch or challenge a raccoons. Don’t be deceived by their cute appearance. Raccoons can be vicious when cornered.